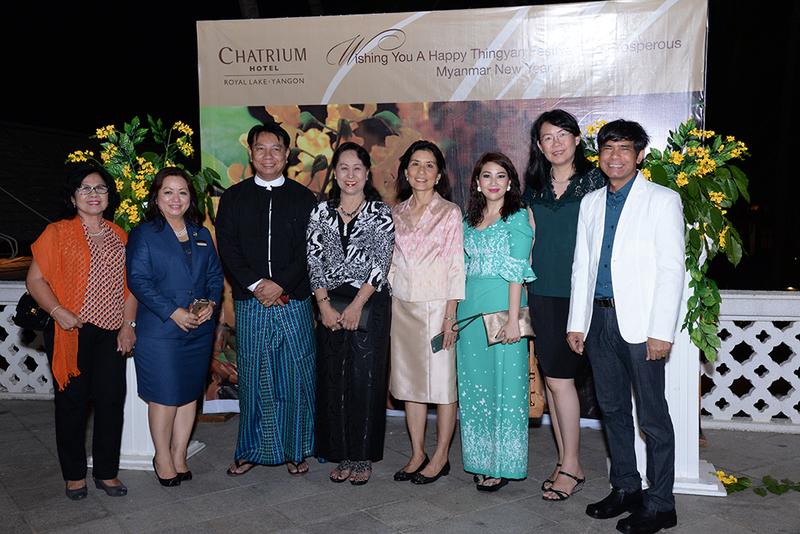 Yangon, Myanmar, 2nd April 2016: Chatrium Hotel Royal Lake Yangon participated in a Myanmar New Year Celebration and Thank You Party at Hotel Ngapali Pool Garden on the evening of the 2nd of April, 2016. Guests of honor from Embassies, Diplomats, Airlines, Corporate Companies, Travel Agencies and Media included over 300 people in attendance for the occasion. Ms Savitri Ramyarupa, Managing Director of Chatrium Hotels & Residences, expressed appreciation on the occasion of the 18th Anniversary of the hotel by thanking customers and business associates for their long term loyalty and support. She added “Over the years, the hotel has welcomed many VIP’s as well as hosted many important events. It’s no surprise that Chatrium is the preferred choice for visiting royalties, dignitaries and celebrities. Together with our guests’ ‘remarkable’ reviews, Chatrium Hotel Royal Lake Yangon has been recognized year upon year as one of the leading brands. In 2015, it won 9 awards and accolades including the World Travel Award as Myanmar’s leading hotel and most recently was the recipient of 2 more awards for Western and Chinese restaurants in January, 2016. Chatrium also remains aligned with our Corporate social responsibility and sustainable environment agenda to benefit Myanmar and future generations. As part of Chatrium’s corporate social responsibility program, the Yangon team has participated in community cleaning projects since November, 2015 by collecting plastic and rubbish around Kandawgyi National Park and the hotel surroundings. At a time when opportunities in Myanmar abound and all stakeholders are fully committed to the healthy development of the hotel and tourism industry, the management and staff shall continue to strengthen the already excellent Customer Service, and deliver a consistently high quality facility for a superior guest experience”. 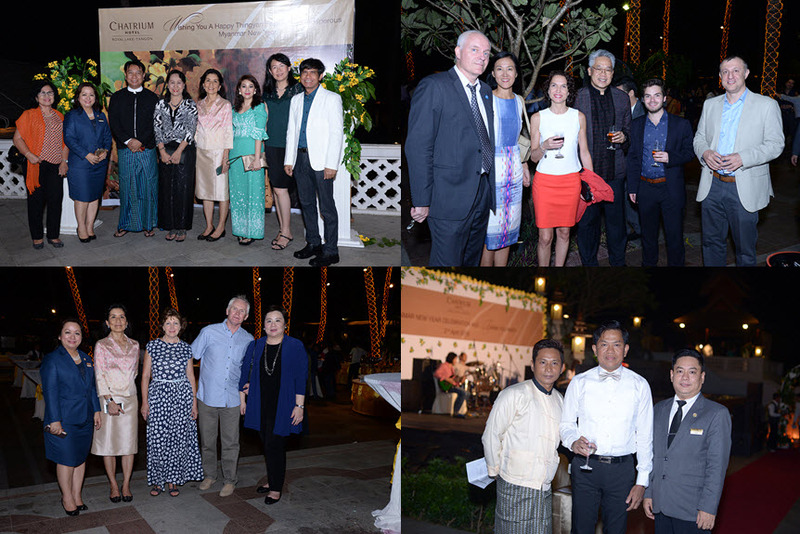 The event included entertainment by the 88 Degree Music Band while participants enjoyed the gala dinner specially prepared by expert foreign Chefs. The night was colorfully enhanced with a Myanmar Traditional Thingyan Festival dance performed by management and the staff of Chatrium. At the end of the program, all attendants happily splashed water on each other to mark the Myanmar New Year and the Thingyan festival.